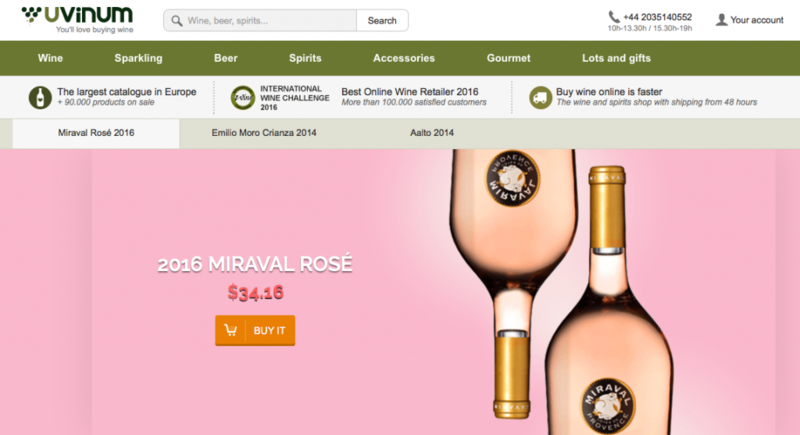 Uvinum is a social marketplace of wines, beers, spirits and gourmet products with expert and user reviews. To advertise products on Uvinum, email publicidad@uvinum.com for further information. Product code Unique product identifier such as internal stock ID or manufacturer ID. Product description Short description of product. Max 255 characters. Product brand Brand or manufacturer of the product. Include if not included in the product name. Shipping cost Full costs for postage and packaging. Product size Size in ml or litres. UPC or EAN Universal product code or European article number. Wine varietal e.g. Merlot, Champagne, Pinot. Wine vintages Details on the wine vintage. What formats does Uvinum accept? Product feeds should be sent to Uvinum as an XML file. You should store your completed file at an accessible URL address. Need help in optimizing your feed and getting it to Uvinum? We can help, feel free to contact us below. Need Help With Uvinum Feed Management?